280 pages | 27 B/W Illus. 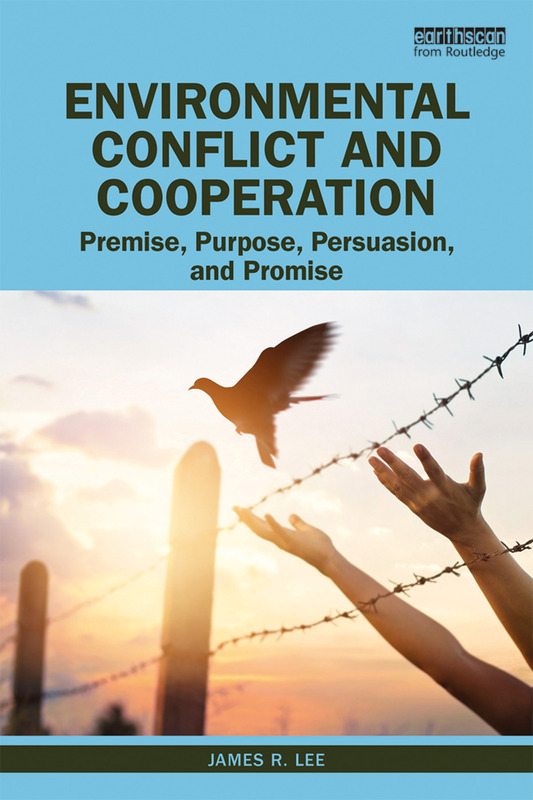 Environmental Conflict and Cooperation explores the evolution of environmental conflict as a field of research and the study of cooperation as an alternative to war. • 4. The promise of research in leading to better decision-making and to broaching new challenges. Over the course of these Parts, the author outlines the deep historic record of this discipline, arguing that it will play a key role in understanding important future trends. Utilizing a wide variety of case studies that range from ancient examples including conflict over the Cedars of Lebanon and the role of tin in the Peloponnesian Wars, to future-oriented scenarios including expanded island-building in the South China Sea and the global politics of geo-engineering, Lee highlights key concepts, metrics, and policy contexts that will test current understandings. He also examines a variety of research methods and provides examples of the ways in which such research can be used to inform policy improvements. This book will draw specific interest from students and scholars of environmental conflict and cooperation, as well as researchers of environmental politics and security studies. "This book is a first and authoritative attempt to lay out a top-down view describing the field of environmental conflict and cooperation. It also makes the strong case that such a field exists and will become much more important. It is a fantastic companion reader to the bottom-up work I edited, the Routledge Handbook of Environmental Conflict and Peacebuilding." -- Ashok Swain, Department of Peace and Conflict Research, Uppsala University, Sweden. 3. Why a Book on Environmental Conflict? 7. What is a Field and Why Does It Grow? Is There a Field of Environmental Conflict and Peacebuilding? 15. Will the Future Surprise Us? James R. Lee isa Researcher in Residence, School of International Service, American University, Washington, DC, USA.